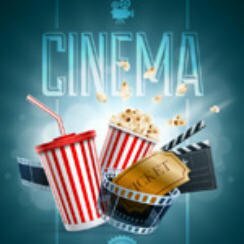 Popcorn Cinema Show takes a look at the movie releases for week 26th August 2016 in the UK, US, Australia and New Zealand at the cinema, plus all the weeks film news. So what do you this week? Well Statham is back in the sequel to the Mechanic in wait for it…. Mechanic: Resurrection and releases in both the UK & US. Sequel to the 2011 film The Mechanic. Jason Statham plays Arther Bishop a retired contract killer who is forced out of retirement following the kidnapping of the love of his life. Sequel to the 2014 film The Purge: Anarchy. Following on from events from Anarchy this time it’s set during the Presidential Elections with Barnes campaigning to end the annual Purge. Set during the Iraq war, two guys bid for American military contracts. A seemingly perfect mom is about to reach breaking point. A former boy band member will do just about anything to keep his celebrity status. Teenager Rocky lives with her parents who as somewhat neglectful. She promises her younger sister that they will run away together. In need of cash she breaks into a blind man’s home but finds a far from helpless man.